Much research has been done on the beneficial effects of milk thistle on liver disease, and new studies are looking at its possible beneficial effects in kidney disease. There is currently a National Institute of Health (NIH) - sponsored study that will examine the role of milk thistle and NAC in diabetic nephropathy. The optimal dose of milk thistle has not yet been established. If you use capsules, some herbalists recommend starting at doses of around 400 mg taken twice daily. Again, I would recommend starting low, at 50 to 100 mg once or twice daily, and gradually increasing the dose. 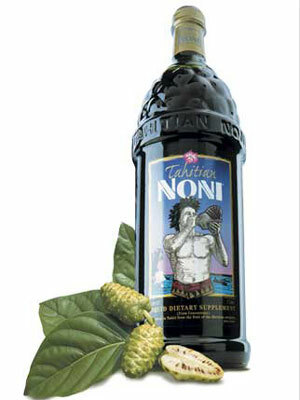 Noni juice contains a lot of potassium. In someone with CKD, this supplement should be avoided. Parsley is used to treat many conditions, including edema and high blood pressure. It has also been used to treat kidney stones, urinary tract infections, and GI tract symptoms. However, high doses of this supplement may worsen kidney function, as well as increase swelling and raise blood pressure. The parsley leaf is commonly used as a garnish and is relatively safe. But if you have kidney disease, be careful when using the parsley oil or parsley seeds. I would recommend not using this medication if you have advanced kidney disease. Pomegranate juice has many properties and uses. It has beneficial effects concerning cholesterol and also lowers blood pressure, both of which are risk factors for worsening kidney disease. Pomegranate juice does contain potassium, however, and it can affect the liver, although further study is needed. The optimal dose of pomegranate is not yet known. It is also not known if pomegranate can affect the kidneys in the same way as ACE inhibitors, especially in advanced stages where high potassium can be a significant problem. I would not suggest taking it if you have advanced kidney disease or problems with high potassium. If you are on ACE inhibitors/ARBS, or other medications that can raise potassium, I would avoid using this herb. Turmeric is a very potent antioxidant that has been used to treat many conditions, including cancer. The active ingredient, curcumin, has been used for centuries. In some laboratory-based studies, it has been shown to have a strong anti-inflammatory effect on the kidneys. It may block the effects of TGF-beta on the kidneys, as well. The optimal dose of turmeric is still not known. If you are taking curcumin, herbalists recommend taking 400 mg two to three times a day. With CKD, I recommend starting with a very low dose and watching the interaction with other prescription medications. Further study is needed. All of us live in a very toxic environment. You have most likely already read about the toxins - including heavy metals - in our water supply and their effects on kidney function. Additionally, think about the damaging effects of many of the processed foods, chemicals, and pesticides that we put into our bodies. Also consider the consequence of increased oxidative stress and the inflammatory response of high blood pressure, diabetes, and obesity on the kidneys. Our kidneys are bombarded by the effects of this toxic buildup every day. Therefore, there should be a role for toxin removal to improve our kidney health. With the kidneys, however, you need to be careful. If your body cannot get rid of the toxins it encounters, it makes sense that you will feel ill, exhausted, irritable, and lethargic. No one wants that, so detoxification becomes beneficial. Detoxification is the process of removing harmful toxins from the body. Many excellent detoxification formulas are mixtures of several different herbal supplements. In addition to herbs, many cleanses can also contain vitamins and minerals, and many are diuretics that stimulate urination. There are detoxification formulas just for the kidneys and combination formulas for more than one body system. Examples of this are the combination liver and kidney detoxification formulas. To find out more, you can check out Natural Cures For Kidney Disease.